The FUJINON XF 100-400mm F4.5-5.6 R LM OIS WR is a super telephoto zoom lens that covers a 35mm focal length equivalent of 152-609mm. 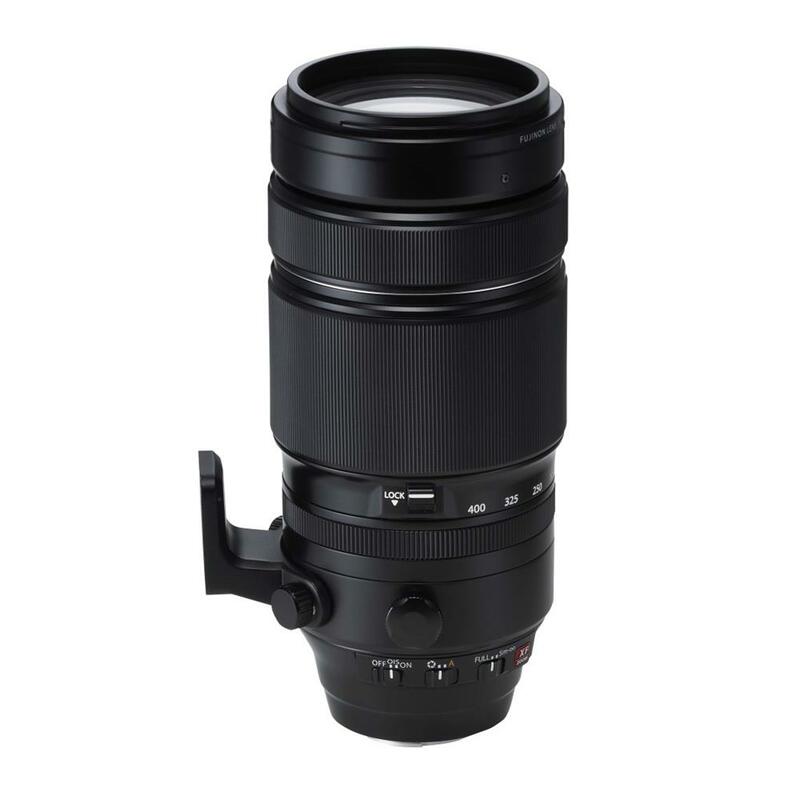 The high performance optical construction of 21 elements in 14 groups includes five ED lenses and one Super ED lens to help reduce chromatic aberration that often occurs in telephoto lenses. The lens has been designed for hand-held shooting with a 5.0-stop image stabilization system and weighs less than 1.4kg. The lens is also both water and dust resistant and can operate in temperatures as low as -10 degrees C, so it is suitable for use in a wide range of outdoor shooting conditions. A fluorine coating has also been applied to the front lens element to repel water and dirt, further improving the toughness of the lens.